Namibia is one of the great African countries (posting of 26 April 2014) and its capital, Windhoek, will be the venue for MEI's two back to back conferences in June next year, Biohydrometallurgy '18 and Sustainable Minerals '18. Both conferences are in association with the newly formed Namibia University of Science and Technology, and will be held at the very impressive Windhoek Country Club Resort. 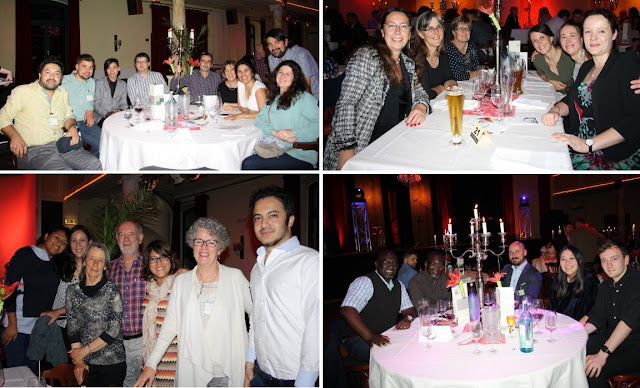 Biohydromet '18 is MEI's 9th conference in this series, previous events being held in Cape Town and Falmouth. The meeting will cover the latest developments in the field of biohydrometallurgy: the development, optimisation and application of integrated biomining process operations for mineral ores, including low grade and complex ores; the microbiology of biomining and the application of biohydrometallurgy to novel resources (such as mine and electronic wastes) and the bioremediation of mining-impacted environments. The keynote lecture will be given by Prof. Sue Harrison, of the University of Cape Town, who will discuss the role of biohydrometallurgy in the sustainable development of mineral resources (posting of 10 July), and appropriately the conference sponsor is Outotec, who last year was ranked for the second time as the world's third most sustainable company and in 2015 strengthened its portfolio of gold processing technologies by acquiring Biomin's BIOX® bioleaching technology. Outotec is also one of the sponsors of Sustainable Minerals '18, the 5th in the series, which immediately follow Biohydromet 18. Zeiss is also a major sponsor, and CEEC an industry advocate. This is a particularly topical conference as the rapid growth of the world economy is straining the sustainable use of the Earth’s natural resources due to modern society’s extensive use of metals, materials and products. An astute and conscious application and use of metals, materials and products supported by the reuse and recycling of these materials and end-of-life products is imperative to the preservation of the Earth’s resources. The realisation of the ambitions of sustainable use of metals, materials and resources demands that the different disciplines of the material and consumer product system are connected and harmonised. In a keynote lecture, Prof. Rob Dunne will provide an overview of water in the wider global arena and compare this to how the mining industry has dealt with water stewardship over the last couple of decades, and what the future may hold (posting of 24th April). In the second keynote lecture Prof. Yiannis Pontikes, of KU Leuven, Belgium will introduce a process where Fe-rich residues, produced in many hydro and pyro metallurgical processes, can be used as raw material in the synthesis of inorganic polymers (posting of 22nd January). These materials show properties comparable to Portland cement while having a smaller environmental footprint. We invite you to join us in Namibia next June. If you would like to present a paper, short abstracts should be submitted by the end of December. As with all MEI Conferences, the papers will be peer-reviewed for consideration for publication in special issues of Minerals Engineering. Ian Townsend was a very well known figure in the minerals industry, until his retirement from Outotec in November 2015 brought to an end his 45 years in the industry. 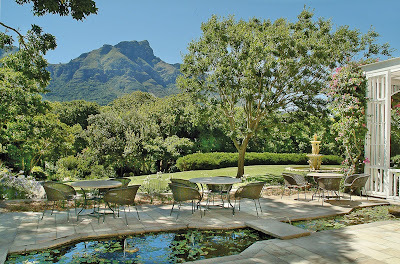 During that time he lived and worked in Zambia, South Africa and Australia, as well as his home country the UK, and made multiple visits to more than 20 other countries for projects. Working in the mining industry gave him a global network of friends, including Barbara and me, and it was good to meet up for lunch with Ian and his wife Pat today in Falmouth to reminisce about old times. Now enjoying his retirement, "the best job that I have ever had", he and Pat have visited places in the UK that they have not seen for many years, and now that he has a little more free time he has also started doing occasional minerals engineering consultancy (Rock Art Consulting)- it's hard to fully divorce yourself from the minerals industry!! 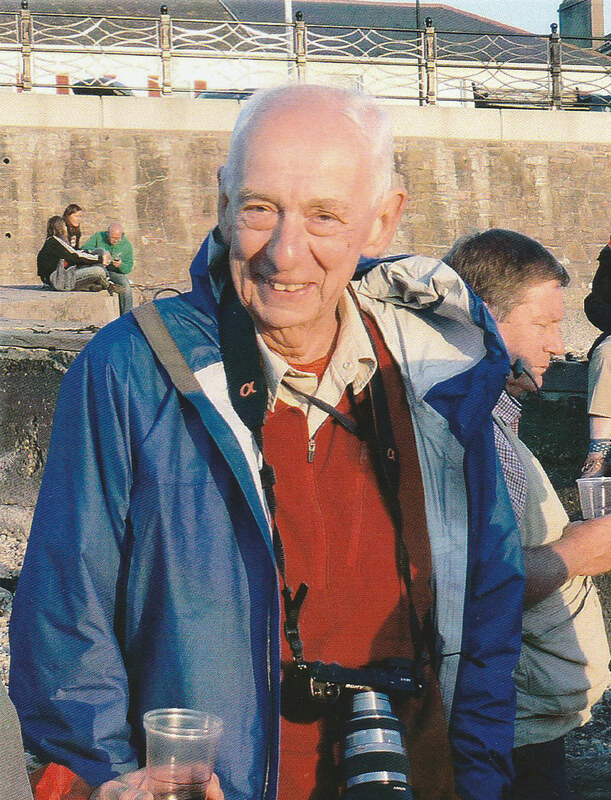 Dr. Alan Bromley died on 10th October (posting of 11th October) and his funeral, which was held today in Camborne, was a true celebration of his life. 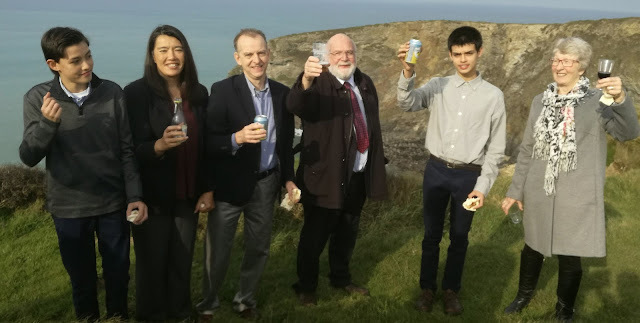 No less than 9 friends, colleagues and family members paid glowing tributes to Alan, all with a common theme- that of an inspirational geologist and lecturer, with a love of Cornish pubs! Alan would have been pleased to see so many at the service today, many of whom then adjourned to one of his favourite spots, the cliffs above his home village of Portreath, where we shared memories of this man who had touched many lives. My recent visit to Changsha convinced me that China will play a very big part in the future of mineral processing. 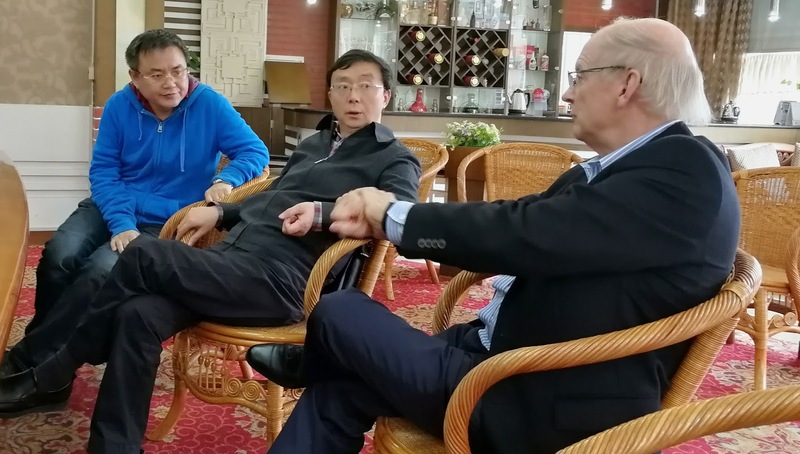 Chinese Universities are now highly ranked, and the Central South University (CSU) in Changsha, with the world's biggest mineral processing department, is particularly impressive. During my visit I was regally hosted by Associate Prof. Zhiyong Gao, who will be at Flotation '17 next month with some of his team of researchers. We are also pleased that the former Director of the University of South Australia's Ian Wark Research Institute, Prof. John Ralston, will be calling in on the first day of the conference, to catch up with Zhiyong and many other of his contacts from around the world. John has recently spent some time at CSU to give three lectures, which were also televised to other centres. 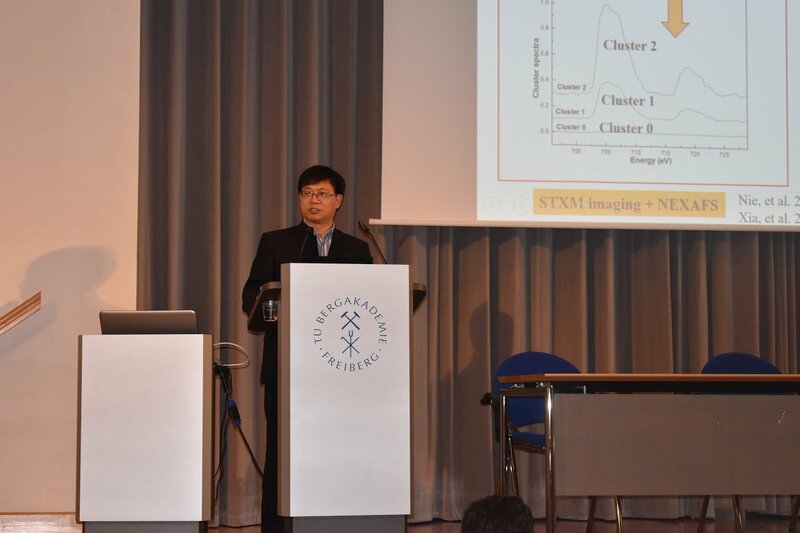 The lectures covered a critical analysis of chemistry in all aspects of minerals processing; the action of polymers at mineral interfaces and how technology transfer works best between researchers and the minerals industry. In 2013 the University of Alberta's Prof. Zhenghe Xu, now Dean of Southern University of Science and Technology in Shenzhen (MEI Online), CSU's Prof. Yuehua Hu and Jacob Israelachvili, Emeritus Professor of Chemical Engineering at the University of California Santa Barbara, and Prof. Ralston set up a National 111 Project to introduce overseas experts and talents for the discipline innovation of mineral processing at CSU. This was successful and has worked well, attracting support and catalysing other initiatives. One example is the Joint Research Centre for In-Line Chemical and Mineral Sensing for Sustainable Mineral Processing now in operation between CSU and the University of South Australia, led by Assoc. Prof David Beattie as the Project Manager. This is a joint project involving key CSU and UniSA staff in the areas of physical chemistry and minerals processing, and will run from 2016 to mid-2019 in the first instance. After arriving late on Saturday evening, I found myself with the day free to explore the university and mining town of Freiberg whilst a 1-day short course, "Bioremediation of Mining Sites" was being taught by Sabine Willscher of the University Halle, Germany, Andrea Kassahun of WISMUT GmbH, Germany, and Friedrich-Carl Benthaus of LMBV mbH, Germany. Freiberg (the name means "Free Mountain") was founded in the 1180s and now has a population of about 40,000. The Technical University Bergakademie is the world's oldest school of mining and attracts students from Germany and abroad, giving the town a youthful, cosmopolitan feel. It has an attractive medieval center, several excellent museums, four Silbermann organs and a plethora of cafes serving delicious German cakes. At 5pm I arrived at the TU Bergakademie Freiberg Klub Haus, where the conference was being held, and after a quick and easy registration, it wasn't long before I'd bumped into some familiar faces. I was pleasantly surprised to find all 3 of MEI's consultants for Biohydrometallurgy '18 already there: Sue Harrison of the University of Cape Town, Chris Bryan of the University of Exeter, and Patrick d'Hugues of BRGM in France. I also bumped into Keiko Sasaki of Kyushu University, who is one of the organisers of IBS 2019 in Fukuoka, Japan. Keiko and I had met at the train station in Dresden the night before whilst trying to puzzle out the ticket machine and we'd had an interesting trip culminating in a lovely local family giving us a lift to our hotels. 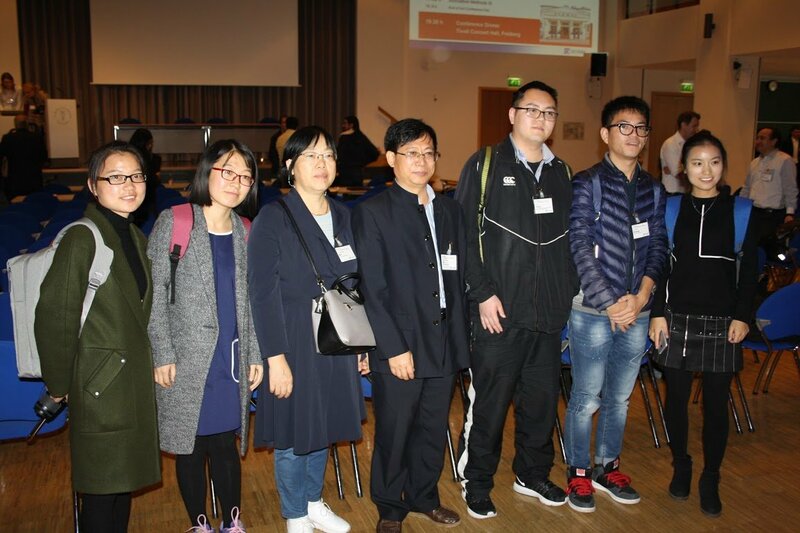 We were then directed to the main hall, where Wolfgang Sand, of Donghua University, China, welcomed the IBS series back to Germany (the first symposium took place in Wolfen-büttel, Germany, in 1978, and was it held in Frankfurt in 2007) and welcomed us all to the IBS. After thanking the organisers and presenting them with gifts, Wolfgang informed us that there had been over 200 registrations. 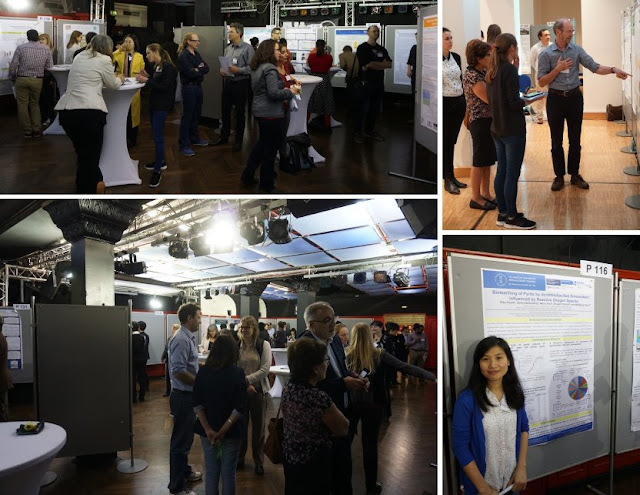 In fact there were 210, from 36 countries, with 51 oral presentations and 167 posters. Wolfgang then introduced us to Michael Schlömann, Director of the Institute of Biosciences at TU Bergakademie Frieberg, who was dressed in the traditional uniform of a mining official, which is worn at the university on formal occasions. Michael presented an introduction to the history of Freiberg, and talked about biohydrometallurgy at TU Bergakademie Freiberg and the setting up of the Biohydrometallurgical Center for Strategic Elements. Next up was Axel Schippers, Head of Geomicrobiology at the Bundesanstalt fur Geowissenschaften und Rohstoffe (BGR), Germany. 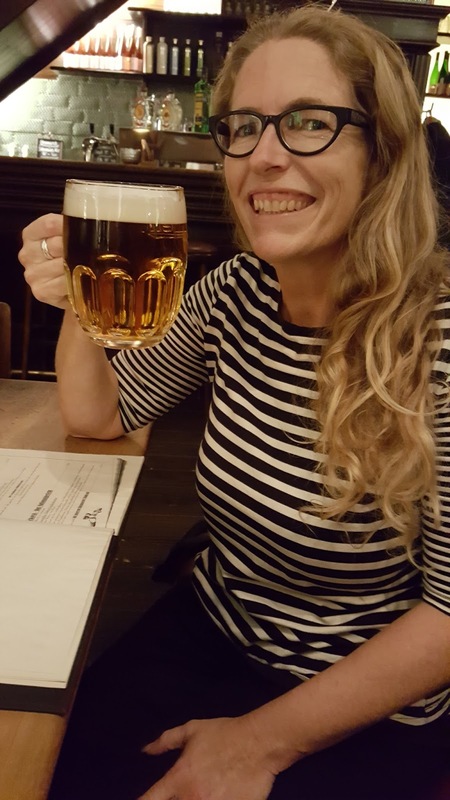 Axel filled us in on some technical points such as how the poster sessions would work and how the final papers would be chosen for publication, and thanked Mariekie Gericke of Minek, South Africa for all her work as secretary of the IBS committee, as she has now stepped down. 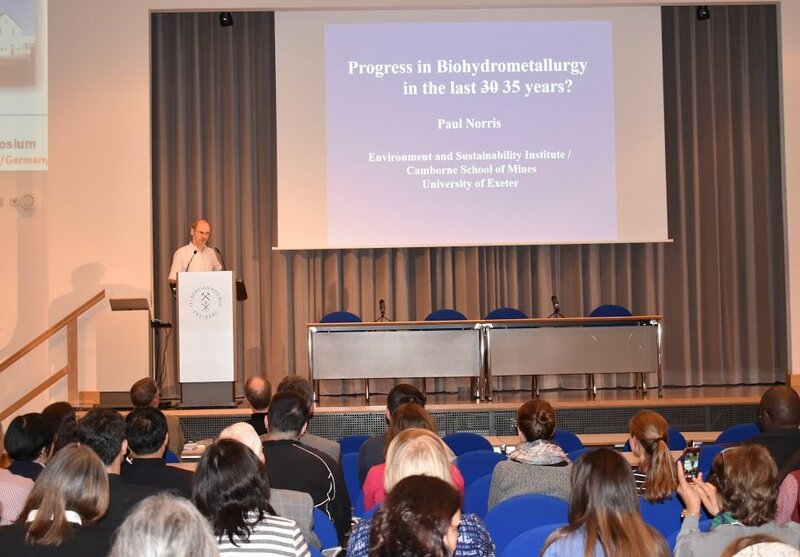 Following all the introductions, Paul Norris of the University of Exeter presented the Honorary Lecture, entitled "Progress in Biohydrometallurgy over the last thirty/thirty-five years?". This was a partly autobiographical look at the work carried out over the years following the 1983 IBS and began with an analysis of the papers presented at that conference. For example, in 1983 Leptospirillum was mentioned in one paper, but by 1993 was mentioned in 10. Paul warned against repeating research from the past due to misclassification of organisms or an unwillingness to read work which isn't available on the internet. Paul Norris presented the Honoury Lecture, "Progress in Biohydrometallurgy over the last thirty/thirty-five years? Following Paul's talk, we all retired downstairs, where finger foods and German beers were on offer, as well as the chance for everyone to catch up with each other. 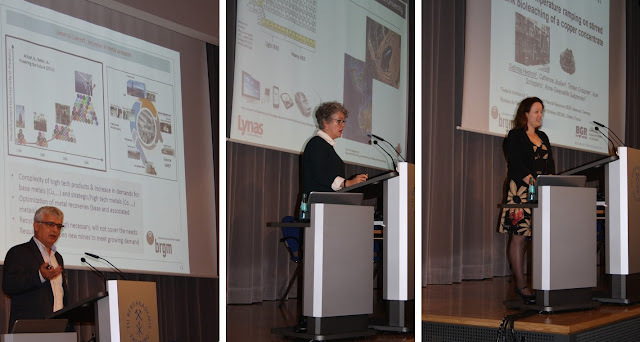 Today began with a session on "Tank Leaching" and the first of ten keynote lectures. Patrick d'Hugues, Head of the Waste and Raw Material Unit at BRGM, France, presented, "Bioleaching in stirred tanks reactors to process Kupferschiefer type of ore: A review", in which he gave an overview of the work performed on this topic in the last decade and discussed new insights and future developments for the integration of bioprocess options in the metallurgical treatment of black-shale type ores. Following on from Patrick, there were presentations from Sabrina Hedrich, of BGR, Germany, on, "Effect of temperature ramping on stirred tank bioleaching of a copper concentrate", Elizabeth Watkin, of Curtin University, on "Incorporation of indigenous microorganisms increases leaching rates of Rare Earth Elements from Western Australian Monazite", Zahra Manafi, of Islamic Azad University, Iran, on "Optimisation of copper bio leaching operation by moderately thermophilic consortia in Iranian Babak Copper Company (IBCCO)", and Agathe Hubau, of BRGM, France, on "Establishment of an iron-oxidising culture of acidophilic micro-organisms for bioleaching of waste electrical and electronic equipment (WEEE)". During the coffee breaks, delegates were encouraged to view the posters, which were situated in two locations: in the conference room itself and downstairs. Due to the number of posters accepted, authors were permitted to keep their poster up for one day before taking it down to make way for the next one. This ensured a steady stream of visitors to view the posters. After coffee, the "Heap Leaching" session kicked off with a keynote from Jochen Petersen, of the University of Cape Town, entitled, "Unravelling the complexity of heap bioleaching". This was followed by Ruiyong Zhang of BGR with "Reduction of iron(III) ions at Elevated Pressure by Acidophilic Microorganisms", Denis Shiers of CSIRO with "The impact of heap self-heating on microbial activity during the bioleaching of lowgrade copper sulfide ores", Tatsuya Shinkawa of Japan Oil, Gas and Metals National Corporation with "Bio-heap Leaching of Primary Copper Sulfide Ore by JOGMEC", Biao Wu of the General Research Institute for Nonferrous Metals, China with "Nickel bioleaching at elevated pH: research and application", and Ali Ahmadi of Isfahan University of Technology with "Biodesulfurization of a coarse-grained high sulfur coal in a full-scale packed-bed bioreactor". 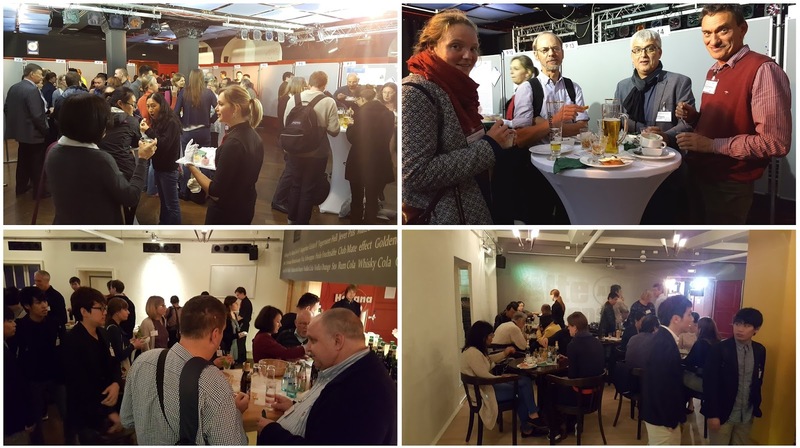 Lunch was then served both upstairs and down before the afternoon sessions started, which were dedicated to "Innovative Methods". Miao Chen of CSIRO presented, "Characterization and localized insight into leaching of sulfide minerals" as a keynote in the first session, and after coffee, Cecilia Demergasso of the Universidad Católica del Norte presented the keynote, "From knowledge to best practices in bioleaching". Before coffee, the keynote was followed by Radek Vostal of TU Bergakademie Freiberg with "Method for the recovery of Indium from diluted bioleaching solutions", Mark Roberts of Cardiff University with "Changes in Metal Leachability through Stimulation of Iron Reducing Communities within Waste Sludge", Bernhard Dold of Luleå University of Technology with "Bioleaching Magnetite and Hematite through Reductive Dissolution in Seawater", and Keishi Oyama of Kyushu University with "Mechanism of silver-catalyzed bioleaching of enargite concentrate". After coffee, finishing off the day, were Xiaotao Huang and Sha Deng of Central South University, China with "Investigation of controlled Redox Potential with pyrite during chalcopyrite bioleaching by mixed moderately thermophiles" and "Bioleaching of chalcopyrite with two different metallogenic types: A mineralogical perspective" respectively, and Tomasa Sbaffi of the University of Exeter with "Microbial community composition in mine waste, comparing sites in Cornwall and Western Devon". There then followed bids for the honour of hosting IBS 2021, one from Perth, Australia and one Cape Town, South Africa. Delegates voted, and the winner was Perth. All that was left was to relax with a beer! The first session was focused on "Molecular Methods / Biofilms" and began with a keynote from Jinlan Xia of Central South University, China entitled "In-situ characterization and molecular mechanisms evaluation of interfacial interaction between minerals and bioleaching microorganisms". Jinlan Xia presented "In-situ characterization and molecular mechanisms evaluation of interfacial interaction between minerals and bioleaching microorganisms"
Jinlan was followed by Roberto Bobadilla-Fazzini of Codelco Tec with "Mineralogical Dynamics of Primary Copper Sulfides Mediated by Acidophilic Biofilm Formation", Elizabeth Watkin of CSIRO with "Acidihalobacter prosperus, a halophilic acidophile, has unique mechanisms to survive high chloride concentrations at low pH", Mauricio Diaz of the University of Chile with "Molecular regulatory network involved in biofilm structure development by Acidithiobacillus thiooxidans includes Pel exopolysaccharide machinery", David Holmes of the Fundacion Ciencia & Vida, Santiago with "Genomic Insights into the Evolutionary Mechanisms and Dynamics of Extreme Acidophiles", and Soren Bellenberg of the Universität Duisburg-Essen with "Computational analysis of chalcopyrite-attached bacteria, automated cell counting, and quantification of biofilm formation". 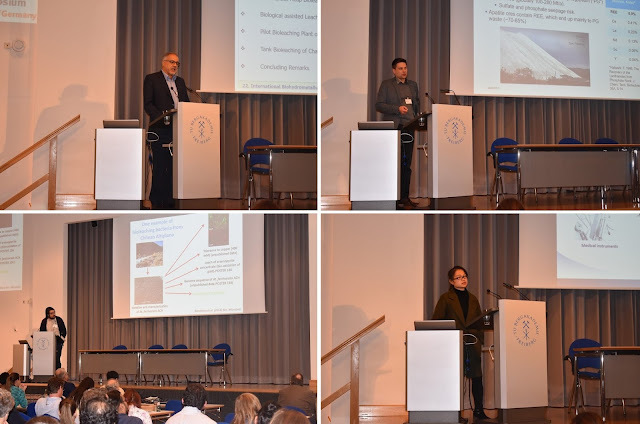 After the first coffee break, a session on "Metal Recovery" started with a keynote presented by Mohammad Ranjbar of Shahid Bahonar University of Kerman, Iran, entitled "Bioelectrochemical Leaching of Copper Sulfide Minerals". Next up was Susan Reichel of G.E.O.S. Ingenieurgesellschaft with "Microbial Production of Schwertmannite: Development from Microbial Fundamentals to Marketable Products", Jarno Mäkinen of VTT Technical Research Centre of Finland with "Rare Earth Elements recovery and sulphate removal from phosphogypsum waste waters with Sulphate Reducing Bacteria", Francisco Remonsellez of Universidad Católica del Norte with "Diversity of thermophilic iron- pyrite-oxidizing enrichments from solfataric hot springs in the Chilean Altiplano", Ling Tan of Central South University with "Comparative Analysis of Functional Gene Diversity of Acid Mine Drainage and Its Sediment by Geochip Technology", and Hongying Yang of Northeastern University, China, with "Bio-oxidation Process for Gold Concentrates with a High Arsenic Content using Thermophilic Bacteria". The first session after lunch was dedicated to "Biosorption / Bioremediation" and the keynote lecture was given by Anna Kaksonen of CSIRO, "Recent advances in biomining and microbial characterisation". Anna was followed by Antonio Ballester of the Universidad Complutense de Madrid with "Biogenic iron compounds for hazardous metal remediation", Masahito Tanaka of Kyushu University with "Optimization of Bioscorodite Crystallization for Treatment of As(III)-bearing Wastewaters", Jan Weijma of Wageningen University with "Chemical vs. Biological Crystals, all the same? ", and Yasuhiro Konishi of Osaka Prefecture University with "Microbial Recycling of Precious and Rare Metals Sourced from Post-consumer Products". After coffee, sessions resumed with "Innovative Methods", with a keynote given by Jonathan Lloyd of the University of Manchester entitled, "Putting subsurface microbes to work; metal recovery and biosynthesis of functional metallic nanoparticles". Jon was followed by Ivan Nancucheo of the Universidad San Sebastián with "Reductive dissolution of a lateritic ore containing rare earth elements (REE) using Acidithiobacillus species", Elizabeth Watkin of CSIRO with "Incorporation of indigenous microorganisms increases leaching rates of Rare Earth Elements from Western Australian Monazite", and Linlin Tong of Northeastern University, China with "The Mechanism of in and Ge Occurrence in Sphalerite Crystal and the Influence on Properties:a DFT (Density Function Theory) Simulation". 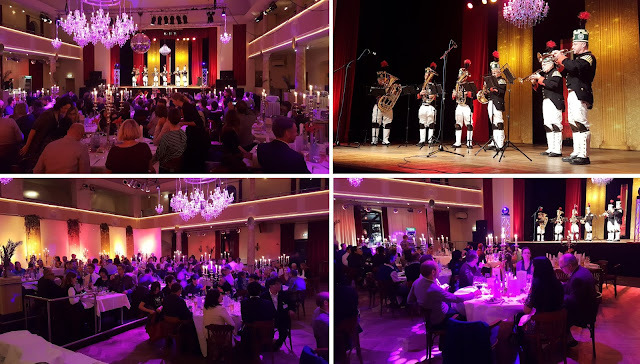 Delegates were then free to prepare themselves for the evening's Conference Dinner at the Tivoli Concert Hall. The last day began with another session on "Tank Leaching". 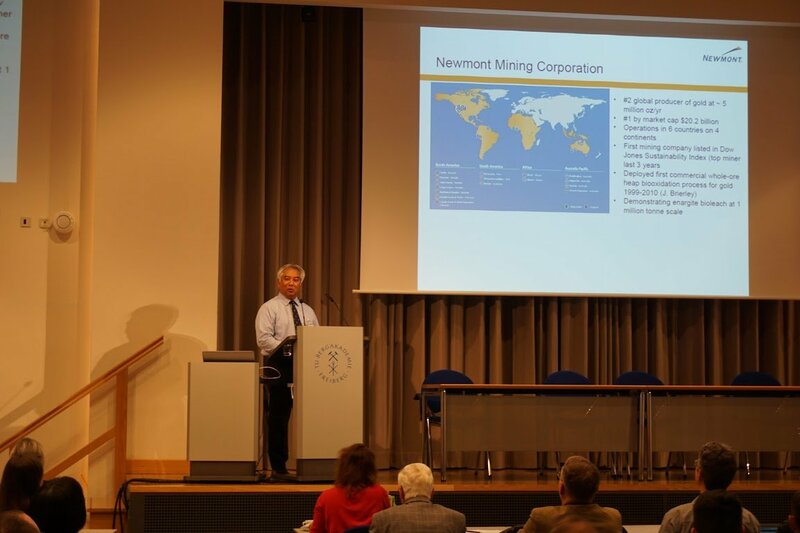 The keynote was presented by Frank Roberto of Newmont Mining, entitled, "Copper Heap Bioleach Microbiology – Progress and Challenges". In a change to the programme, Frank was followed by Carmen Falagan of the University of Bangor with "pH dictates the relative toxicities of cationic metals and anions (other than sulfate) to acidophilic bacteria", who was then followed by Siti Khodijah Chaerun of the Institut Teknologi Bandung with "Bioleaching of supergene porphyry copper ores from Sungai Max Gorontalo of Indonesia by an iron- and sulfur oxidizing mixotrophic bacterium", Paivi Kinnunen of the VTT Technical Research Centre of Finland with "Comparison of reductive and oxidative bioleaching of jarosite waste for valuable metals recovery", Anna Potysz of the University of Wroclaw with "Feasibility of metal extraction from waste metallurgical slags in the presence of Acidithiobacillus thiooxidans", and Aleksandr Belyi of with "Production Development of Olimpiadinskoe Gold Processing Plant through BIONORD® Technology Processing". After coffee, a session on "Biosorption / Bioremediation" began with Sabine Matys of Helmholtz-Zentrum Dresden-Rossendorf presenting "Development of Metal Ion Binding Peptides Using Phage Surface Display Technology", followed by Romy Auerbach of the Fraunhofer Projectgroup IWKS of Fraunhofer ISC with "Recycling of Florescent Phosphor Powder Y2O3: Eu by Bioleaching by Means of Acidithiobacillus ferrooxidans", Davor Cotoras of the Universidad de Chile with "Integrated Sulfate Reduction and Biosorption Process for the Treatment of Mine Drainages", Ana Santos of Bangor University with "The use of algal biomass to sustain sulfidogenic bioreactors for remediating acidic metal-rich waste waters", Marina Belykh of the Irkutsk Research Institute of Precious and Rare Metals and Diamonds with "Detoxification of Heap after Gold Leaching Using Biodegradation", Robert Huddy of the University of Cape Town with "Analysis of Microbial Communities associated with Bioremediation Systems for Thiocyanate-laden Mine Water Effluents", and Sabine Willsher of the University Halle-Wittenberg with "pH and Soil Additive-Depending Uptake of Various Metals and Metalloids by Helianthus tuberosus from a Uranium Containing Test Field Site". A second session on "Molecular Methods / Biofilms" began after lunch, with Mark Dopson of Linnaeus University presenting a keynote on "Optimizing Acidophile Biofilm Formation for Metal Sulfide Dissolution: The SysMetEx Project"; the SysMetEx project uses three acidophile model species (Acidithiobacillus caldus, Leptospirillum ferriphilum, and Sulfobacillus thermosulfidooxidans) to investigate the rate of biofilm formation and subsequent copper recoveries with the ultimate aim of reducing the lag time between heap initiation and the first recovery of copper. 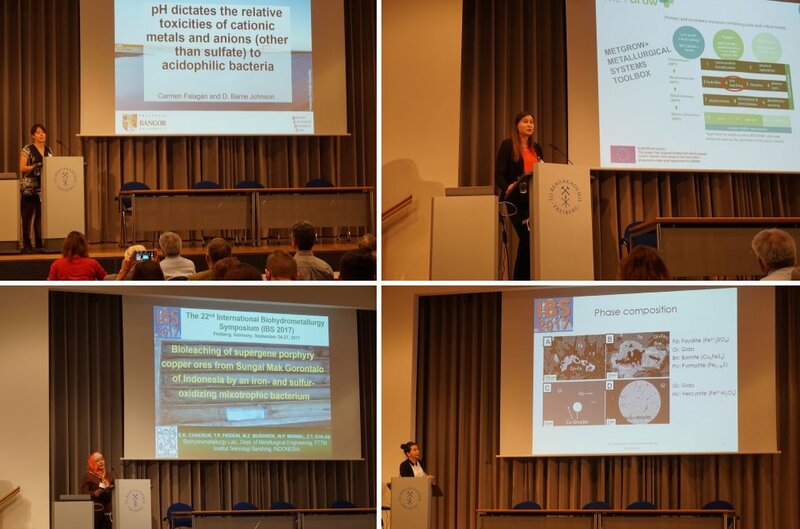 Following on from Mark was Malte Herold of the University of Luxembourg with "Leptospirillum ferriphilum – Genome, Transcriptome, and Proteome of a Biomining Model Species", Simone Schopf of TU Bergakademie Freiberg with "Mineral Specific Biofilm Formation of Acidibacillus ferrooxidans Hütt2", Mario Vera of Pontificia Universidad Católica de Chile with "Comparative genomics of iron oxidizing acidophiles of the Acidiferrobacteraceae family", and Jiri Kucera of Masaryk University with "Proteins Binding to Immobilized Rusticyanin Detected by Affinity Chromatography". The last session was on "Molecular Methods / Biofilms" and consisted of Sue Harrison of the University of Cape Town presenting "Inhibition kinetics of iron oxidation by Leptospirillum ferriphilum in the presence of thiocyanate in bioremediated cyanidation tailings waste water" followed by Mariekie Gericke of Mintek with "The Mondo Minerals Nickel Sulfide Bioleach Project: From Test Work to early Plant Operation". Then it was time to find out who had won the Best Poster competition. Wolfgang Sand and Michael Schlömann concluded events with closing speeches which expressed how well it had gone, and what a nice atmosphere there had been - a true meeting of friends. I would like to take this opportunity to congratulate Dechema and the IBS local organising committee on a well run conference. I'm now looking forward to visiting Japan in 2019! It's certainly not too late to register for Flotation '17, which starts 3 weeks today at the Vineyard Hotel in Cape Town. There are over 200 delegates registered already, representing 27 countries, and we are now finalising the excellent programme of technical sessions and social events. This is an event not to be missed if you have any involvement at all with flotation, which still continues to evolve after the first patent over 110 years ago. We have one exhibition booth still available if you would like to market your company, and we thank all our sponsors who have contributed to the on-going success of our flotation series. The October Cornish Mining Sundowner in 2015 was hosted by Grinding Solutions Ltd (GSL) to showcase their new premises at Tresillian just outside Truro (posting of 23 October 2015). Two years later we were hosted once more last night by GSL to celebrate the opening of their recently extended laboratory and office facilities, and also to meet their continuingly expanding team. As last time, the event was very well attended, by over 100 people, with representatives from across the industry including equipment suppliers such as Metso, partners including Petrolab and other mining companies based in Cornwall. The Camborne School of Mines was also well-represented, with a number of trustees and a strong contingent of students. Grinding Solutions originally specialised in fine grinding but in recent years has been applying its innovative and consultative approach to areas including process mineralogy, flotation and gravity separation. The new facilities will accommodate an all new biohydromet and cyanide leaching lab which are being set up with input from Dr Chris Bryan and Dr Dave Dew from the Environmental and Sustainability Institute, Camborne School of Mines, University of Exeter. The fast-growing Cornish company, with an international client base, has further plans for expansion in the future. Equipment on display included a wide range of mills such as the Metso SMD test mill, a LME4 IsaMill, the Magotteaux Mill, as well as 10mm to 5” hydrocyclones, and Denver, Wemco, Magotteaux and FLSmidth flotation cells. A few photos are posted below, and I have added names where I can. Thanks again to Nick and Flee Wilshaw and their staff at GSL for their hospitality. We look forward to seeing Nick and Flee at Flotation '17 next month, and GSL are one of the sponsors of Comminution '18 in Cape Town in April. They will also be represented at Biohydromet '18 in Namibia. On January 1st a new look Minerals Engineering will be launched, as a result of its merger with the International Journal of Mineral Processing (IJMP). 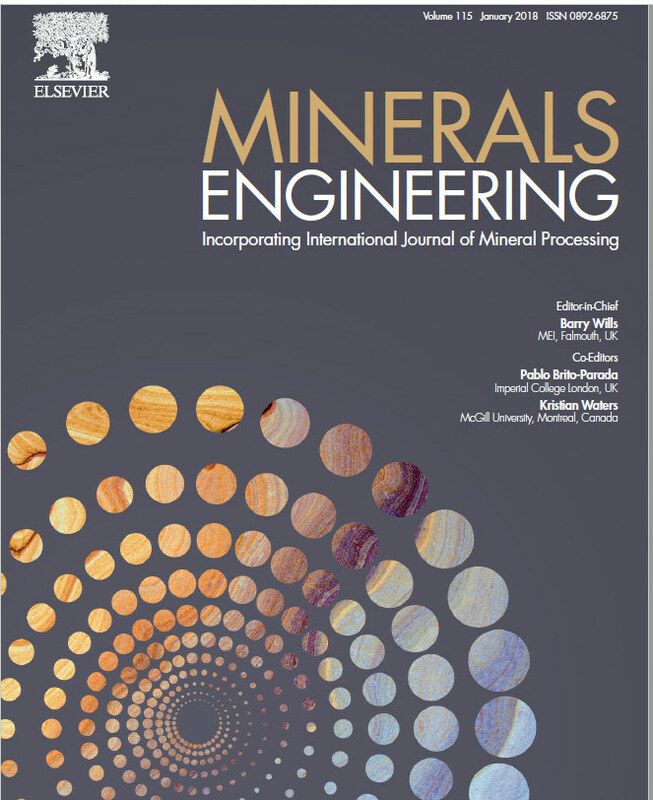 Since the inception of Minerals Engineering in 1988 I have been Editor (see also posting of 8 June 2013), and 3 years ago a dynamic young researcher, Dr. Pablo Brito-Parada, joined me as Associate Editor, to assist with the ever increasing paper flow. Times are changing and the editorial structure of the hybrid journal will be dominated, quite rightly by a new generation of young minerals engineers. My position now is as Editor-in-Chief. Pablo is promoted to Editor, and is joined by Associate Prof. Kristian Waters, former editor of IJMP. Pablo Brito-Parada is a Research Fellow in the Department of Earth Science and Engineering at Imperial College London. His research focuses on industrial multiphase flows, particularly in mineral processing, combining experimental techniques and numerical modelling for equipment evaluation and design. A Chemical Engineer by training, he worked in academia and industry in Mexico before moving to the UK, where he completed his PhD in froth flotation at Imperial College London. He has since coordinated industrial flotation optimisation campaigns, led the flotation research at the Rio Tinto Centre for Advanced Mineral Recovery as well as other mineral processing research projects. He is currently Principal Investigator at Imperial College for IMPaCT, a €10m consortium funded by the European Commission with the objective of developing solutions for small scale sustainable mining in Europe. 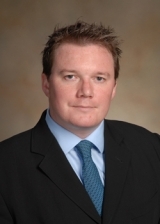 Kristian Waters is an Associate Professor at McGill University, Canada. He has an M.Eng. in Chemical Engineering with German from UMIST, UK, an MSc in Instrumentation and Analytical Science also from UMIST and PhD in Chemical Engineering from the University of Birmingham, researching into the effect of thermal treatment on the physico-chemical properties of minerals He then spent 2 years as a post-doc at Imperial College London working with Prof. Jan Cilliers on fine particle flotation and PEPT. In 2009 he moved to McGill as Assistant Professor, and was awarded tenure in 2015. His current research is quite varied, covering the majority of separation techniques and some water treatment, his recent research targeting the beneficiation of rare earth bearing minerals. Pablo and Kristian will be aided by six Assistant Editors: Grant Ballantyne, University of Queensland, Australia; A. Deniz Bas, Laval University, Canada; Erin Bobicki, University of Toronto, Canada; Zoltan Javor, Aalto University, Finland, Anita Parbhakar-Fox, University of Tasmania, Australia; Martin Rudolph, Helmholtz Institute Freiberg for Resource Technology, Germany. 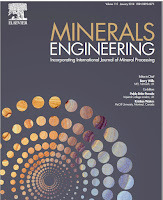 None of the 8 editors and assistant editors were born when the International Journal of Mineral Processing was founded by eminent sampling statistician Pierre Gy in 1974, the year that I started my 22 years at Camborne School of Mines. Mineral processing itself has seen great changes in those 43 years, and in fact only became a discipline in its own right at the beginning of the 20th century. Prior to the industrial revolution of the 18th and 19th centuries the demand for metals was not very high. The small county of Cornwall in south-west England was the major producer of copper and tin in the mid 19th century, when world production of copper was about 60,000 tonnes per year, compared with around 20 million tonnes now. The copper ores were of very high grade and needed little upgrading, apart from simple hand sorting by bal maidens, female workers who worked the surface plants. Tin ores did need crushing and grinding, in stamp mills, prior to gravity concentration in crude devices such as buddles and rag frames. The 'discovery' of electricity had a profound effect on metal demand, particularly for copper, and soon the main source of supply was from the vast deposits discovered in the Americas and Australia. By the beginning of the 20th century the demand for metals and minerals had become so high that the 'easy' ores were becoming scarce and the simple sorting and gravity methods could not adequately treat the ever decreasing grades and complexity of the vast quantities of mineral deposits which were available. The mining industry was in crisis, and so was the industrialised civilisation, although most people would not have been aware of this. The search was on for an innovative method of upgrading the low grade base metal ores, and the great saviour of the mining industry was froth flotation. The invention of modern flotation is attributed to Francis Elmore, who patented a vacuum flotation process in 1904, which was used in the Zinc Corporation plant in Australia for 6 years, although the first recognisably "modern" flotation technique had been patented in London in 1903 by Sulman and Picard, and this used air bubbles formed by forcing compressed air through holes in the cell, but it would be years before such pneumatic cells would be commercially used. By 1908 flotation was working well for bulk flotation of zinc tailings, but the search was then on for means of treating primary sulphides, which led to the development of xanthate collectors, selective activators and depressants, and, as they say, "the rest is history". Just as it is difficult to overestimate the importance of the mining industry, so it is difficult to overestimate the value of froth flotation to modern society. How would we economically produce the metals and minerals that modern society cries out for without this process, which I have always referred to as the most important technological development since the discovery of smelting? Throughout the century, as the available ores became leaner and more complex, so flotation was adapted to effectively deal with them, and to this day research both into the physical and chemical aspects of flotation continues unabated. There were also innovations in comminution in the early years of last century, with inefficient and energy consuming stamp mills being replaced by tumbling mills, which could be run in closed circuit with classifiers to control product size, so by the 1930s mineral processing flowsheets typically consisted of comminution in cone crushers and rod mills, and long lines of ball mills running in parallel, followed by banks of small flotation machines also running in parallel. By 1974 there had been innovative new processes, such as high intensity magnetic separation, the first enhanced gravity separators, and the first column flotation cells, and in extractive metallurgy hydrometallurgical techniques such as leaching, solvent extraction and ion-exchange with electrowinning were found to be viable options to traditional smelting. However typical mineral processing plants would have been instantly recognised by pre-war operators, as lines of small mills and flotation cells still dominated. The biggest impact on minerals engineering was the rapid development, and increase of computer power in the 1980s, which has led to the simulation models that are used today, and the development of DEM, CFD etc. But perhaps more importantly powerful computers led to sophisticated methods of controlling mineral processing operations automatically and this in turn led to designers looking to overcoming the problems associated with replacing many small machines with fewer very large machines which could be more easily instrumented and controlled, and the trend for larger and larger flotation machines and grinding mills continued into the present century. Comminution in particular has seen major changes this century, with the development of high pressure grinding rolls (HPGR) and stirred mills, and it may be that these will replace tumbling mills in circuits in the not too distant future. Worldwide the mining industry consumes around 2% of all electrical energy, and comminution is the major consumer, so great efforts are now made to reduce energy consumption, as well as water consumption which is also critical. In some respects we have come full circle- in the 19th century hand sorting was an important technique, and now electronic sorters are proving their worth in crushing circuits, thanks to multi-channel sensors made possible by powerful computers. Sorting will be a major feature in future comminution circuits, scalping out coarse barren rock, and hence reducing energy and water consumption. I have to say that I wish I were 40 years younger, as our young editors now stand on the cusp of a second industrial revolution, the end of the era of the internal combustion engine, and the dawn of the new era of electric cars (see posting of 30 August). There will be a boom in metal demand, particularly copper, nickel and cobalt, and of course lithium for the Li-ion batteries. We are also now in the age of the "Hi-Tech Metals" used in all computers and smart phones (posting of 5th June), and the increasing demand for metals such as germanium, gallium and indium will put huge pressures on the supply of these metals, many of which are the by-products of base metal processing. As these metals are present in tiny amounts in each individual computer or phone, and often alloyed with other elements, recycling presents enormous problems, but the move to the circular economy means that we have to get smarter at recovering and reusing the vast quantities that we have already extracted from the earth, rather than relying on continued pursuit of new reserves of ever poorer quality and at substantial environmental cost. There are exciting times ahead, with enormous challenges, and minerals engineers, and Minerals Engineering, will play a critical role in the dawning of this new age. Will the end of the era of the internal combustion engine herald a golden age for mining? Only two months ago I reported on the death of Prof. Keith Atkinson, former Director of the Camborne School of Mines, and a geologist with a keen interest in mineral processing (posting of 6th August). Now I report sadly on the death of one of his fellow CSM geologists, Dr. Alan Bromley, who died yesterday at the age of 79. Alan's career at CSM began in 1969, and he was an inspiration to me during my time at CSM. He was of a rare breed, a geologist, who like Keith Atkinson, had a keen interest in mineral processing. He was one of the pioneers of the then new discipline of process mineralogy, and, although the word had not yet entered the dictionary, one of the early geometallurgists. He was a brilliant teacher, with a zany sense of humour, and a lecture that he gave way back in 1975 "A geologist looks at mineral processing" had a profound influence on the way that I also looked at mineral processing, as he showed that mineral processors should have a thorough knowledge of the mineralogical composition of their ores and concentrates. Now this is obvious, but at that time I had left Zambia only a couple of years before, and during my time on the Nchanga Concentrator it is hard to believe now that, despite the wide suite of copper minerals, there was not even an optical microscope in the metallurgical office. We often reminisced on how process mineralogy has evolved since then, with sophisticated automated scanning electron microscopes now commonplace in large operations. In the early 80s, CSM was the proud owner of one of the early image analysers, the monochromatic Quantimet 720, capable of performing linear scans on mineralogical specimens. Such was the power of this machine, that it lured the late Prof. Peter King from Wits University to a sabbatical at CSM, where he worked closely with Alan on his pioneering research into liberation analysis. 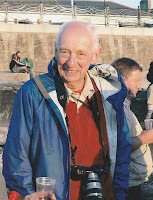 Alan left CSM in 1991 to found Petrolab in Redruth, Cornwall. He sold the business to James Strongman in 2006 and the last time that I saw him was during a visit to Petrolab two years ago to look at the installation of their new Zeiss Mineralogic Mining automated mineralogy system, a machine that Alan and I could never have even dreamt about in the mid 1970s. Alan will be sorely missed and our thoughts are with his wife Lesley, also a geologist, and his two sons from a previous marriage. I would like to invite all of you who knew Alan to share your memories of him below. 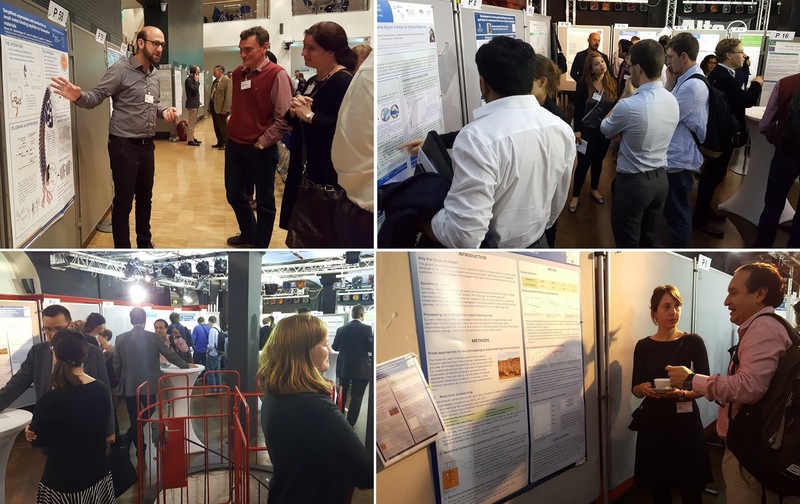 The official deadline for abstract submission to Comminution '18 was the end of September. We will be preparing the draft timetable towards the end of this month, so there is still time to submit a short abstract if you would like to present your work to an international audience in Cape Town, and have your paper considered for a special comminution issue of Minerals Engineering. More information can be found in the posting of 21st August, and in the report on Comminution '16. See what people have said about previous Comminution events. A review of pretreatment of diasporic bauxite ores by flotation separation was submitted to Minerals Engineering in July and was accepted after revision a couple of weeks ago. It is now available on ScienceDirect. What is so special about this paper is that it is the first to be co-authored by researchers from Liberia, one of the world's poorest countries. Borbor Gibson and Darius Wonyen are in the Department of Geology and Mining Engineering at the University of Liberia, Monrovia. The 3rd author is Saeed Chelgani, an adjunct professor at the University of Michigan, a regular and respected author and reviewer for Minerals Engineering. Three years ago he began work on a USAID project, to teach students at the University of Liberia. He was very impressed with the many bright minds, "brilliant students who could show a high level of understanding scientific matters". Saeed decided to write an article with them. As there were no mineral processing laboratories he taught them how to write a review article. Flotation is Saeed's main interest and Liberia has bauxite mines so a useful option was a review on diasporic bauxite flotation. 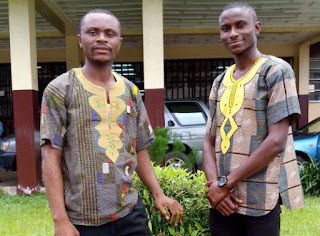 He says that he was very impressed by the way they undertook this task and now they are delighted that the article has been accepted and published, the first article co-authored by University of Liberia students. Congratulations Borbor and Darius, I hope this will motivate you and your colleagues to submit further articles, and thanks Saeed for your dedication in motivating these two students in this way.